There’s a chance that you’re here because you received email from “me”, or at least my address at this domain, and it turned out to be spam. Sadly, my email address was scraped from some site, or stolen from some database — either way, it has been used by spammers as a spoofed email address. In most cases, it seems to be used in the “Return-Path” header, but I wouldn’t be surprised if some emails used it as the “From” address. There are a variety of titles used by the spammers, they seem to be a Russian group, I believe their operation is relatively high volume due to the number of status emails I have been getting (email not delivered, email is spam, please do X before emailing, no user found, user on vacation, user left company, etc etc). None of the sending email server IP addresses in any of the bounced status emails that included headers matched my servers. I have checked all of my email servers for security holes, all are clean, none appear to be operating open relays, and thus there is nothing else I can do. So that’s the explanation behind the spam email in your inbox. I’m sorry that this happened, I have done all I can reasonably do to ensure these spam emails can be detected as such, please complain to whoever administrates your email servers if these spam messages are not marked as such, because I am providing mail servers with policies that should make it extremely easy to detect these emails, as long as they check the policies and treat the results properly. Today I will be taking a short look at the unscientific and extremely misleading Institute For Responsible Technology (aka Jeffrey Smith) page titled “10 Reasons to Avoid GMOs”, located here. Each claim will be presented in italics, followed by a detailed refutation of it. Many of these claims are very similar to the ones used in the Illinois bill SB 1666, so I’ll be reusing my refutations from there. The American Academy of Environmental Medicine (AAEM) is not recognized by the American Board of Medical Specialties. QuackWatch lists it as a questionable organization, citing their promotion of the dubious concepts of clinical ecology and multiple chemical sensitivity. The AAEM opposes water fluoridation (and fluoride in general! ), opposes mercury-containing vaccines, claims that WiFi is dangerous (seriously! ), considers EMF/RF exposure to be a major risk, and opposes “smart meters”. When Science Based Medicine took a look at them they found that the AAEM is even more quackish when you dig deeper into the organization. With this in mind, it is quite safe to say that the AAEM is not qualified to be urging doctors to do anything. The studies they cite have been discredited time and time again by the scientific community. They, like the IFRT, reject the scientific consensus on the safety of genetically modified crops and intentionally ignore the reams of material that clashes with their cherry-picked junk science. * A small portion of the transgenes AND native genes survive the small intestine. * Both the transgenes and native genes are fully degraded in the large intestine. * There was some evidence of preexisting gene transfer in the ileostomists, but it represented a very small portion of the microbial population, and the complete transgene had not been transferred. * It was highly unlikely for gene transfer to alter gastrointestinal function or pose a risk to human health. So in summary, there is no evidence that humans with normal digestive systems are vulnerable to gene transfer, and some evidence that suggests very low rates of partial gene transfer may occur, but only in ileostomists. As such, unless you’re an ileostomist, Smith’s claims do not apply to you, and even if you are an ileostomist, there is no real reason to be worried. The next claim was that Bt (an insecticide that, contrary to Smith’s claims, is barely classifiable as toxic) was detected in the blood of pregnant women and their unborn fetuses. This claim is based on the study “Maternal and fetal exposure to pesticides associated to genetically modified foods in Eastern Townships of Quebec, Canada.” (PubMed link), but that study turned out to be completely useless, as demonstrated by refutations from the Food Standards agency for Australia and New Zealand and from Biofortified. The next claim is a great example of confusing correlation with causation, which appears to be a disease that tends to infect science denialists. While Smith at least does admit that they lack “sufficient research to confirm that GMOs are a contributing factor”, he neglects to mention that this means there is zero supporting research and quite a bit of contradictory research. Whoops. And, as I already mentioned, the AAEM is not a group that should be trusted, especially when it comes to health claims. Why children are at the most risk is not explained, probably due to the complete lack of evidence. The IGF-1 cancer link relies on a lack of public knowledge of IGF-1 – a protein present in all milk at low levels, and in the human body at levels ranging from 14 to 102 times the levels present in milk. Smith never explicitly named the amount of IGF-1 that he believes rBST-treated milk contains, but there is no clear proof that an increase (if it exists) even has the potential to affect cancer rates. This is a moot point, as a study demonstrated that rBST-treated and non-rBST milk contain similar levels of IGF-1. Interestingly, the study also demonstrated that organic milk (but not rBST-free conventional milk) contained a slight amount less IGF-1, but there is no evidence that the decrease is anywhere near large enough to influence cancer chances (especially so when you consider how small it is relative to the amount present in the human body). Smith fails to recognize that gene flow is a natural part of agriculture. No crop is ever 100% pure, which is why USDA Organic guidelines allow for a certain amount of inadvertent contamination. Likewise in the EU, contamination of up to 1% is considered acceptable. This gene flow works both ways – the conventional farmers are also having their crops contaminated with inferior organic plants, and organic farmers are also getting contaminated with the conventional farmer’s plants, as well as other organic farms’ plants. It’s also not difficult to reduce contamination levels in the unlikely event that they are an actual problem for the farmer. Soybeans are one of the more popular transgenic crops, but their method of reproduction means that contamination is extremely low with only minor precautions. While the same is not true for all transgenic crops, proper isolation techniques can still easily result in contamination levels of under 0.5% for corn. Contamination isn’t a new issue either – it’s been a problem for farmers for a very long time. The only difference is that organic farmers may have to give up their premiums if they don’t take extremely basic precautions against contamination that are already recommended by USDA guidelines. Smith (of course) assumes that the reader is gullible enough to play his “what if” game and too stupid to realize that “what if” is nowhere near reality. What if crops grown with organic production methods turned out to cause cancer? The potential impact is just as huge, and the lack of supporting evidence is no smaller than the lack of supporting evidence for GM crops causing cancer. Next up we’ve got Charles Benbrook’s “study“. But what about the toxins? There are a huge amount of studies on these foods. Let’s take a look at a few more of them to evaluate the claims of toxin danger. If anything, the anti-GMO activists are acting like the tobacco industry acted. When overwhelming scientific evidence showed that tobacco use was harmful and addictive, the tobacco industry used every trick in the book to suppress this data and to confuse people. Likewise, both the tobacco industry and the anti-GMO activists have cherry picked data, ignored vast quantities of peer-reviewed research, published an endless stream of propaganda, lied constantly about the data, and did their best to suppress any research that contradicted or refuted their narrative. In the end, biotechnology has science on its side, and the tobacco industry doesn’t. Opposition to biotechnology is thus inherently anti-scientific. The independent scientist rhetoric is a favorite of the anti-GMO crowd. Too bad that many of the scientists aren’t actually independent (like Seralini), and that the independent scientists who don’t produce junk science are never cited by Smith and his fans. Biotechnology opponents are among the first to cry “oppression” when their lies are exposed by critics. This is merely a tactic used in an attempt to discredit criticism of flawed studies. Andrew Wakefield used the same tactic when his paper was ripped apart by the medical community. Once again, Smith relies on public ignorance to make a point. The herbicide glyphosate, considered by most people to be “the” GMO herbicide (probably due to widespread adoption of glyphosate resistant crops), has a LD50 similar to salt. It does a great job of killing weeds, but has great difficulty killing other things. 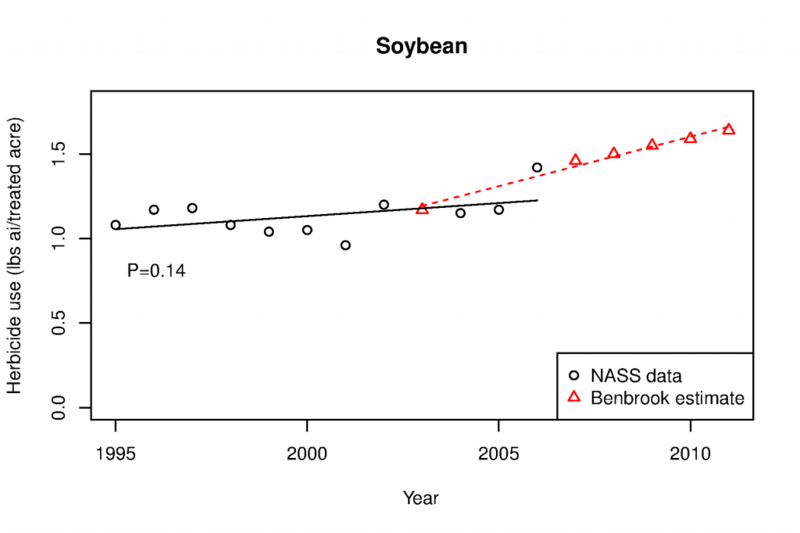 GM crops actually tend to increase overall regional biodiversity. Even with this in mind, biodiversity isn’t what feeds people, high yielding crops are. You can plant 500 different species of corn in one field if you’re extremely concerned about specific crop biodiversity, but if overall regional biodiversity is poor and your yields even poorer, what’s the advantage? As for eliminating Monarch habitat, GM crops are not at fault, agriculture is. Milkweed is a weed, and herbicide resistant crops just happen to be designed so that weeds are easier to eliminate. They are by no means the only way to eliminate milkweed, as many other crops are sprayed with herbicides that also kill milkweed. Additionally, the science is a bit flimsy. Roundup has quite a bit of junk research on it, but the research being (indirectly) cited here by Seralini appears to be research done with extremely high doses of Roundup (or glyphosate), not realistic doses. A very comprehensive risk assessment on Roundup specifically concluded that it does not pose a realistic health risk to humans. To put dosage in perspective, the average human in the US probably consumes less than 0.1mg of glyphosate in their food every day. That is a ridiculously tiny amount of glyphosate! The canola example isn’t useful either. Canola as a vector for herbicide resistant genes is overthinking the issue – it’s easier for weeds to just evolve resistance to the herbicide (although that will change when multiple herbicide resistant crops are commercialized). Sure, canola itself can be a weed, but is that really proof that GMOs “harm the environment”? Herbicide resistance is a problem that by no means is unique to genetically modified crops. On Failure to Yield – See below sources for a detailed rebuttal. The IAASTD report is ridiculously flawed piece of unscientific propaganda that downplayed biotechnology, despite how the evidence contradicted virtually every claim made in the report. Several authors dropped out before the report was completed, leaving a small group of writers with little experience of biotech, and at least one of the writers has a history of producing anti-biotech propaganda. The report contained very little scientific information, and had basically become a soapbox for the organic industry’s supporters. It was a complete failure, and has been criticized by numerous credible sources, including a Nature article. When you take a look at the scientific literature, the depth of the IAASTD report’s lies becomes very obvious. Organic yields are up to 34% lower, but the average yield gap is around 20% – and increasing! Perhaps if there wasn’t such fierce opposition to the technology the biotech companies would be interested in investing in improvements that improve the food directly. The strict regulatory process and limited consumer acceptance isn’t helping either, no thanks to scare media like Smith’s website. There are some crops in the approval pipeline that fit this criteria – Simplot’s Innate potato (nonbrowning, reduced asparagine content) and the Arctic apples (nonbrowning). Golden Rice also deserves a mention, as it will directly benefit people in impoverished nations. The Organic Consumers Association recently published an article containing a list of “13 Lies GMO Labeling Opponents are Recycling in Washington State”. This post will investigate each of the thirteen “lies” for accuracy. #1 – The OCA claims that labeling does not increase food prices. As evidence they cite an “empirical study” from a Joanna M. Shepherd Bailey. This report gave a rather optimistic figure of a one-time $1.27 cost for food labeling, but the report is flawed to a certain degree. The report assumes that sellers are unwilling to raise prices, and that administrative time to raise prices would cost too much to raise the prices in the first place. Yet the very same report also assumes that the administrative time to implement labeling is negligible. The report also turns a blind eye to how food producers would be forced to use a far greater amount of non-GM or organic ingredients in order to avoid the stigma associated with the label. Another crucial point is that the OCA ignores how factual reporting of GM content would require detailed tracking and isolation of bulk food, something which the industry is not equipped to do. Their arguments suggest labeling could help consumers avoid GM products, but the actual labeling does not guarantee any GM content will be present in the product. The proposed labels are not required to specify what ingredients may be GM, nor the extent to which they may be present. In addition, the law does not require testing for the presence of GM components. So this isn’t a “GM labeling bill”, it’s a “might contain GM labeling bill”. The EU is brought up, but again, crucial information is omitted – like how GM foods mostly vanished from the EU after labeling was put into effect. The OCA then digs their grave deeper by claiming that companies hawking non-GM products label them as GMO-free for “free” – but of course how these companies don’t offer you any choice and charge you more for the privilege of eating their “premium” food isn’t mentioned either! #2 – Americans are estimated to eat out an average of 5 times a week and spend as much as $142 billion on fast food alone. Yet this industry is completely exempt? Has the OCA already forgotten their tired old propaganda taglines about how consumers deserve the “right to know” what’s in their food? #3 – This is literally the definition of a straw man argument. The OCA spent their entire paragraph attacking something completely unrelated to the point supposably being refuted. The marketing term “natural” has absolutely nothing to do with the USDA certification known as “organic”, something which this organization has in its NAME. #4 – Connecticut and Maine’s laws both have minimum thresholds before the laws go into effect, and Alaska’s laws are severely limited to only a tiny segment of the food industry. If I-522 was passed, Washington would become the first state to have mandatory GM labeling on supermarket-sold food. So yes, it is actually the first and the only. ( 3) An action to enjoin a violation of this chapter may be brought in any court of competent jurisdiction by any person in the public interest if the action is commenced more than sixty days after the person has given notice of the alleged violation to the department, the attorney general, and to the alleged violator. (4) The court may award to prevailing plaintiff reasonable costs and attorneys’ fees incurred in investigating and prosecuting an action to enforce this chapter. By allowing lawsuits from the general public, I-522 has made it possible for anyone to sue any company considered to be in violation. These types of lawsuits are frivolous and unnecessary. Why is this language in the bill in the first place? Why does the general public need to sue companies when the state is already supposed to deal with violators? #6 – As mentioned in #1, their arguments suggest labeling could help consumers avoid GM products, but the actual labeling does not guarantee any GM content will be present in the product, and they have ignored how the most viable route of action for the companies will be switching to non-GM ingredients solely because of the stigma attached to this label. Government oversight is part of I-522. The government will have to foot the enforcement bill. #7 – The claim that genetically modified crops haven’t been proven safe is a blatant lie. Over six hundred studies have been conducted on GM crops, and the scientific consensus is that GM crops are safe and no more dangerous than conventionally-grown crops. Pre-market safety studies are quite definitely required! In addition to the FDA, the EPA and USDA frequently review new biotech crops. A very high level of testing is required for each new biotech crop – something that is not required of any other type of crops. The next claim is false on two fronts. First of all, that was not the only long-term animal feeding study involving GM crops (more on this in a minute). Secondly, the study cited here (“Long term toxicity of a Roundup herbicide and a Roundup-tolerant genetically modified maize”) is an excellent example of junk science being used to push an agenda. You can read a full write-up on the issues with the study, Seralini’s connections to activist groups and the natural/organic foods industry, and other interesting details over at RationalWiki. As for those other long-term feeding studies – here’s a meta-review of 24 long-term and multigenerational feeding studies. The OCA then cites an except from the heavily biased report “GMO Myths and Truths”, which does a fine job of cherry-picking junk science from academic journals, but means very little in reality. I could waste time linking to refutation for every study in that list, but it would not be productive to do so. The simple lack of a biological mechanism for genetically engineered foods to cause many of these claimed effects is a major red flag. #8 – The OCA as we noticed previously, the OCA is good at cherry-picking junk science. If you take their results at face value, you might think that organic food is more nutritious. But a meta-review of two hundred and forty assorted studies on organic food and nutritional content concluded that “The published literature lacks strong evidence that organic foods are significantly more nutritious than conventional foods”. The “De Dell” report actually came from the marketing material of a company called “ProfitPro Ag”. It’s not from a scientific journal, and would likely never manage to make it into one, since the data is bogus. When the seed company got called out for this they pulled the marketing material PDF from their site and refused to reveal the source of their data. The linked list is composed mainly of political, quack, and environmental groups. There are only a few actually reputable/notable organizations in the linked list/mentioned in the article, and none of the reputable organizations appear to have the stance that GE foods are dangerous (which is supposably the point of this “lie”). 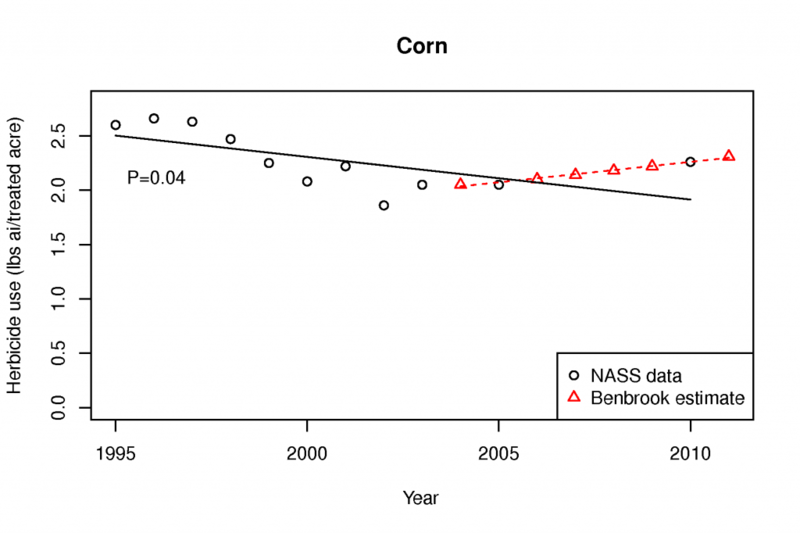 The article “Sustainability and innovation in staple crop production in the US Midwest” has similar issues, but for slightly different reasons. Heinemann appears to have intentionally obscured the data by using misleading years in the report, and misrepresents the data in at least one other major way. 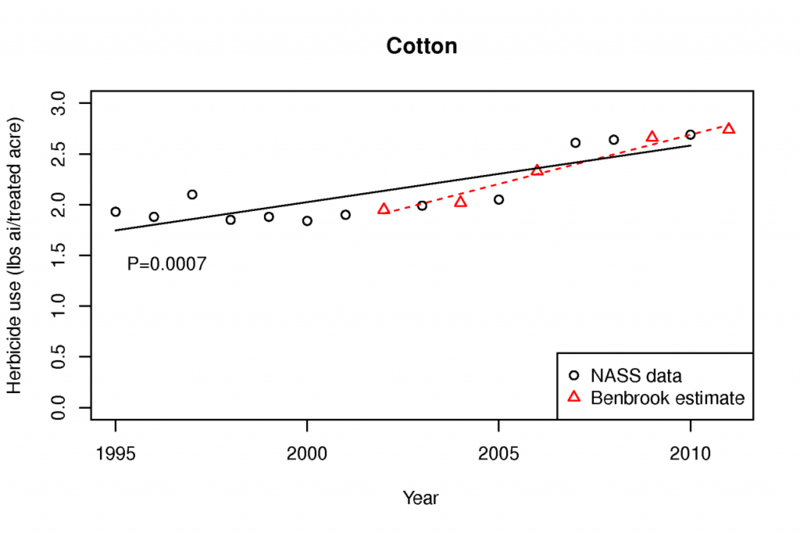 Various other criticisms of his paper include his decision to cite the advocacy scientist Benbrook’s flawed paper (and rely heavily on this flawed data for his paper), differing environments in Europe vs the US, and complete omission of any discussion of the beneficial yield variability effects caused by GM crops. #11 – Ironically, transgenic crops are anything but unnatural. Here’s some examples of this happening in “nature”: A quarter of the cow genome came from snakes, a segment of SPIN genes is present in seven different animal genomes, a virus infiltrates DNA, a fruit fly had the entire genome of a bacteria in it, aphids stole genes from fungi, sheep’s fescue borrowed a gene from a meadow grass, wasps use genes stolen from ancient viruses to make biological weapons, and gonorrhea borrowed human DNA. Of course, horizontal gene transfer isn’t the only option. Have you ever heard of triticale? It’s an interesting grain frequently marketed as “natural” when in fact it’s quite the opposite. Triticale is a hybrid of wheat and rye – something that, unlike HGT, actually wouldn’t happen in nature. The first triticale hybrids were sterile, and it took breeders quite some time to figure out how to allow this plant to breed. And yet for some reason there’s no massive outrage over this. And what could be more natural than spraying a plant with sodium azide in order to induce completely random mutations in the plant’s genome? If you get bored of that you can always switch to the other popular option, which is putting your plants next to a gamma ray source (such as cobalt-60). Over 3200 crops have been produced via these mutagenic breeding methods, yet none of these crops have had any safety testing or environmental testing performed on them (unlike GM crops, which have to pass a battery of tests before being approved). Why exactly is GM considered unnatural when HGT is a rare but normal part of nature? And why is there no concern over crops produced by bombarding them with radiation or soaking them in toxic chemicals? Perhaps the basic issue is one of scientific literacy – which explains why prominent anti-biotech “scientist” Seralini is attempting to dumb down high school biology classes in France. #13 – Biodiversity is a bit of a red herring in that it’s not unique to GM crops. You might as well be railing against conventional or even organic crops for reducing field diversity. Is it an issue? To some extent maybe, but it’s not a looming apocalypse, and GM crops are no more at fault than any other type of crop. Super bugs are merely pesticide resistant insects. Pesticide resistance, like herbicide resistance, is unavoidable. However, good management practices can delay resistance for quite some time. The main tactic in place to slow or stop resistance is refuge areas – areas within a field filled with non-Bt seed, which makes resistance more difficult to develop. Only a few cases of resistant bugs have ever been reported. A good article on this subject can be found here. The honey bee point is (yet another) straw man since neonicotinoids are not related to GM crops. The evidence that they’re at fault for CCD is also a bit flimsy, but this isn’t the article for that discussion. Likewise, the frogs point is also a strawman – atrazine isn’t related to GM crops. The EPA concluded that conclusions could not be drawn from Hayes’ data, as well as the data from numerous other studies. The EPA then had Syngenta conduct a rigorous study on Atrazine, which was scrutinized by the EPA and declared sound. The study concluded that “long-term exposure of larval X. laevis to atrazine at concentrations ranging from 0.01 to 100 microg/l does not affect growth, larval development, or sexual differentiation”. Following their review of Syngenta’s study, the EPA concluded that atrazine does not adversely affect amphibian gonadal development, and no longer requires additional testing of atrazine on amphibians. Syngenta also released an extensive archive of emails from Tyrone Hayes received from a period going back to 2002, which contained obscene and ridiculous content. Here’s an article, as well as the emails, and a formal ethics complaint sent to UC Berkeley. Hayes appears to have also refused to share his data with the EPA, which is (obviously) a red flag. Independent research on Atrazine and amphibians had similar conclusions. Birds and fish seem to be similar in that they’re straw man arguments. The OCA is holding up examples of various pesticides and pretending they apply to GM crops. The Monarch point is actually relevant, but the science is flimsy and the loss of milkweed is a byproduct of agriculture. The last point about Hawaii seems to be more fear than fact. Additionally, “theorganicprepper.ca” isn’t a reliable source. Perhaps this article should be renamed “13 Truths GMO Labeling Opponents are Recycling in Washington State”. At least then it’d be accurate. This article appeared yesterday morning on reddit, and swiftly started the process of being reposted all over the internet. But what exactly is this article about? Are the claims valid? Who’s funding this study? Let’s take a look. The first thing I noticed was the journal this study was published in – the “Journal of Organic Systems”. It isn’t listed in PubMed, and doesn’t appear to be a very popular journal, with no more than a mere handful of studies published in the seven years it’s been around for. While the title alone isn’t indicative of bias, it does seem a bit suspicious how a study like this would be published in such an obscure journal – after all, even Seralini managed to get published in Food and Chemical Toxicology. On another worrying note, an Australian Organic Industry lobbying group is one of the six major sponsors of this journal. Who is this Judy Carman? She’s apparently an anti-GM activist, judging by her criticisms of Bt Brinjal, her co-presentations with Seralini, her membership in an organization that appears to be fond of criticizing GM food, her fearmongering over the CSIRO wheat, more fearmongering over GM food safety in general, and her memberships in several other anti-biotech organizations. It’s also interesting to note that the last link there claims that she’s sponsored by Seralini/CRIIGEN, an organization/group that pushes pseudoscience and lies unashamedly. I suggest reading the second sponsor link – the front page alone is filled with bad studies and outright lies (such as the oft-repeated claims about Indian farmer suicides, which has been proven to be false by in-depth reviews of the data). They also have the amusingly flawed report from Benbrook linked on their front page, along with the recent Bt mice study. So we have a suspicious journal, and a biased author… I wonder who’s funding the study? According to the study itself, there’s no bias to declare. Yet in the very next section, they state that they were funded in part by Verity Farms, a natural farming company that appears to grow and sell non-GM products. And guess who the other sponsor is? The Institute of Health and Environmental Research – the very same organization that Carman is a member of, an organization with an extremist anti-GM stance. The study also acknowledges 38 other people for “their assistance”. Some notable names on this list include John Fagan (notorious anti-GM activist with a monetary interest in creating controversy), Jack Heinemann (he’s behind the hilarious scare piece on siRNA supposably silencing human genes), Arpad Pusztai, Jeffrey Smith, and a few other notable people such as Irena Zdziarski (only notable because she’s worked with Judy Carman before). Why am I mentioning all these people? Because they all have ties to the anti-GM movement to some extent. Why are they thanked here? Why would Carman want to affiliate herself with people like Pusztai and Heinemann? Perhaps it’s because she’s worked with Heinemann before on creating anti-CSIRO-wheat propaganda, but nobody knows why she’d want to thank Pusztai for producing horribly flawed research. Now that we’ve learned some valuable information about the study’s background, let’s start digging into the study itself. On page 2, the authors claim that Snell’s meta-review of 24 long-term and multigenerational studies is deficient due to the types of animals used. Of the twenty-four listed, a fairly wide variety of animals are represented — Rats (7 studies), mice (10 studies), dairy cows (2 studies), salmon (1 study), macaques (1 study), broiler chickens (2 studies), goats (1 study), pigs/quail/sheep (1 study, also incl several other species accounted for in the other counts). There appears to be quite a wide variety of animals tested in the studies used by Snell, one of which also reviewed pigs. The authors brush off this variety of animals with the dismissive claim that “most of the studies reviewed used animals that were either not physiologically comparable to humans, or used only small numbers of animals”. Oddly enough, the authors use 13 and 6 year dated studies as evidence that the literature is lacking, yet they ignore the massive amount of published research on the subject, much of which has been published recently. They also cite a paper that “found that most of the more recent studies concentrate on only a few GM crops (soy, corn and rice), ignoring many other GM crops such as potatoes, peas and tomatoes”. However, soy and corn are among the most popular transgenic crops currently being grown, so it would make sense to concentrate testing on commercial crops that actually exist instead of on crops that never caught on or were never introduced in the first place. In an ironic twist, this study uses transgenic soy and corn as the feed for their pigs. The study also cites two of Seralini’s studies. I won’t even bother pointing out the issues with citing Seralini, instead I recommend reading this article, especially the sections that discuss his many conflicts of interest, the EFSA evaluations of his 2007, 2009, and 2012 studies, and it can’t hurt to read this article and this collection of information on CRIIGEN. Oddly enough, the study cites a Daily Mail scare piece article right next to Seralini’s 2012 study, despite both of them covering the exact same content. This study seems to hinge on severe stomach inflammation being higher in the GM-fed pigs than in the non-GM-fed pigs. While GM fed pigs had the most severe inflammation, the non-GM-fed pigs beat out the GM-fed pigs in the mild and moderate categories. The statistics are a bit confusing too — 22.2% of GM-fed male pigs had “severe” inflammation (compared to 5.6%), yet 41.7% of GM-fed female pigs had “severe” inflammation (compared to 18.9%). This research seems to suggest that for “mild” and “moderate” inflammation, eating the GM feed is actually a good idea. In a striking resemblance to Seralini’s 2012 paper, the included image of the pig stomachs uses examples from the GM pigs for moderate and severe inflammation, yet uses examples from the non-GM pigs for nil and mild inflammation. Without looking at the statistics, this image gives the false impression that only the GM pigs get the moderate and severe inflammation. Professor Andrew Kniss did some statistical analysis on the results over at his blog, and concluded that “there was no statistical difference in stomach inflammation between the pigs fed the two different diets. To analyze these data the way the authors did makes it seem like they’re trying to find a difference, where none really exist”. Isoflavone intake has been shown to directly increase uterine weight in rats, and the isoflavone genistein is linked to excessive fluid accumulation in the uterus. Since the authors appear to have neglected to test for isoflavone content, it seems plausible that the increased weight and fluid accumulation was caused by isoflavones, not the transgenes themselves. In short, this study is a mini Seralini – and considering how closely Carman is linked to Seralini, it’s quite possible that he helped with this trainwreck of a study. Update 6/13/13 21:30: Judy responded to Kniss’s post, but both Kniss and a commenter addressed her ad hominem based attack in detail. It’s quite obvious at this point that Seralini and Carman have a very close working relationship, which explains why their responses sound so similar and why they’re both part of the “Sustainable Pulse” network of sites with identical layouts. Whoever runs her site appears to have slipped up — on the home page there is a section labeled “Scientists support Carman”, which links to this page: http://gmojudycarman.org/category/scientists-support-seralini/. Not only did they use the same theme, they didn’t even bother to modify the template, and doubtlessly will soon be publishing a list of scientists who support Carman. This is quite clearly, as Mark Lynas puts it, “Seralini 2.0”.